As global temperatures continue to rise, glaciers all over the planet are melting. Near Mt. Everest, as many as a thousand glaciers are melting so quickly they are creating enormous lakes in the valleys. The Khumbu Glacier – the highest in the world – has filled a lake the length of several football fields and could disappear completely by the end of this century. A new analysis led by Duncan Quincey, a professor of geomorphology at the University of Leeds, reveals that climate change is the likely reason for such rapidly melting glaciers near Mt. Everest. A recent investigation of the lakes forming on the Khumbu Glacier suggests the pooling water is further endangering the icefalls. This new finding builds on past reports of the rapid melting rates for glaciers near Mt. Everest. 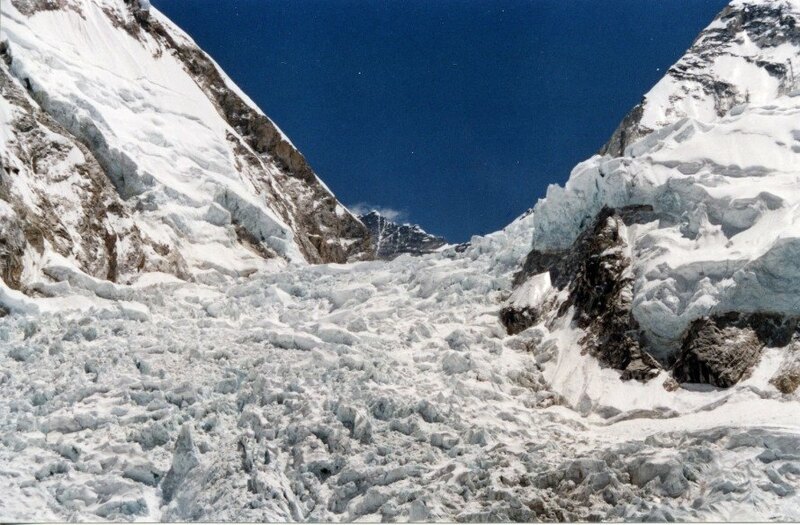 Rapidly melting glaciers are a serious issue, but in the case of the Everest glaciers, those lakes of glacial melt actually exacerbate the problem. Because water is less reflective than ice, the lakes trap more heat from the sun, and as the lakes become larger, the glaciers will melt even faster than before. This has unknown repercussions for communities situated downstream, but researchers warn those areas could be in danger in as little as a few decades if the glacial lakes become large enough to breach the natural dams created by the glacier and flood into towns below.